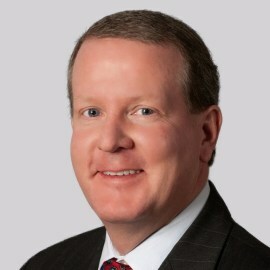 Scott McGlaun joined Blue Cross Blue Shield of Alabama in 2008 as Sr. Vice President and Chief Information Officer. Mr. McGlaun’s technology and leadership roles provide strategic vision for the company’s information systems operations. His areas of responsibility include all application and database development, infrastructure and operations, systems data and information security, IT project management office (PMO) and systems architecture. Prior to joining Blue Cross Mr. McGlaun served as CIO in the financial services industry. Mr. McGlaun graduated from Columbus State University with an accounting degree and is a member of the Georgia Society of CPA’s. Mr. McGlaun is committed to strengthening the Birmingham technology ecosystem and serves on the boards of Birmingham Alabama’s Innovation Depot and TechBirmingham. He is also an advocate for non-profit agencies serving as Chairman of the TechBridge Alabama Community Board. Mr. McGlaun supports several agencies that work with inner city youth serving on the boards of Aspire Movement, Restoration Academy and Foundations Early Learning and Family Center.